"There's nothing only about being a girl"
Like most bad news these days I first became aware of it in the Twitter stream. There in between the hashtags, drunken utterings and missives from the afternoon in California was the sad and unbelievable news that Elisabeth Sladen was dead. I couldn't quite parse it. It didn't fit. She couldn't be dead, she was Sarah-Jane. There's talk of her being remembered fondly by Doctor Who fans of "a certain age" which I assume includes me. But for me it wasn't quite like that. I was, I suppose, a late developer so didn't develop any sort of crush on her. But this didn't matter, for me she became the definitive companion - Jamie, Zoe and Jo were all part of my young childhood imagination but Sarah-Jane was the first of the Doctor's friends I could identify with or imagine being my friend. An older sister or an aunt perhaps. At first she seemed to be written too self-consciously as a vociferous "women's libber" which you suspect was almost a veiled insult on behalf of the writers, but once free of the restraints of scripts that didn't quite "get" her she blossomed into the perfect foil for the madman with a scarf who had just taken over the controls of the TARDIS. She knew when to take the piss, when he needed support and when to berate him. She also worked marvellously as part of a double act - in some ways it was a shame that the "Sarah and Harry" show didn't last long, but as it happened the moment Harry chickened out was when it started getting really good. This is one of the reasons that the cultural image of Doctor Who is of Tom Baker and Elizabeth Sladen. The run of stories from Pyramids of Mars to Hand of Fear is one I could watch over and over again without getting bored, and it's just a shame she left when she did. 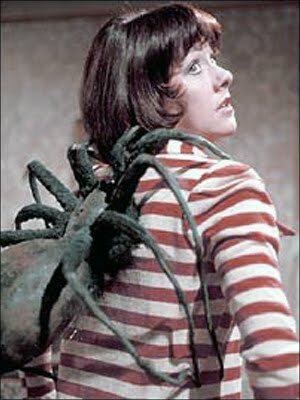 Can you imagine how good the already excellent Robots of Death would have been with Sarah-Jane? It's no surprise she was brought back. The SJS Effect was already apparent in 1981 when the BBC produced the first (abortive) Doctor Who spinoff, K9 and Company. OK so that didn't get off the ground, but during Doctor Who's audio renaissance in the first few years of the 21st Century Big Finish produced a series of Sarah-Jane adventures of their own. Once the Doctor himself was back on our screens it was only a matter of time before she got the series she deserved. And it should have been longer. When I saw the news scrolling past 140 characters at at time I considered adding my own shocked reaction, but something stopped me. It was late at night and on some level my brain was wondering if perhaps I went to sleep I'd wake up in the morning with it only having been a bad dream. It was just the sort of inappropriate thing that would happen in a bad dream. Sadly this wasn't the case. When I woke up this morning I experienced a few minutes foggy indifference before remembering. So it was true.